Those that have lived and breathed Xero for some time will know that we’ve been updating our pages to make them more beautiful, intuitive and simpler to use. 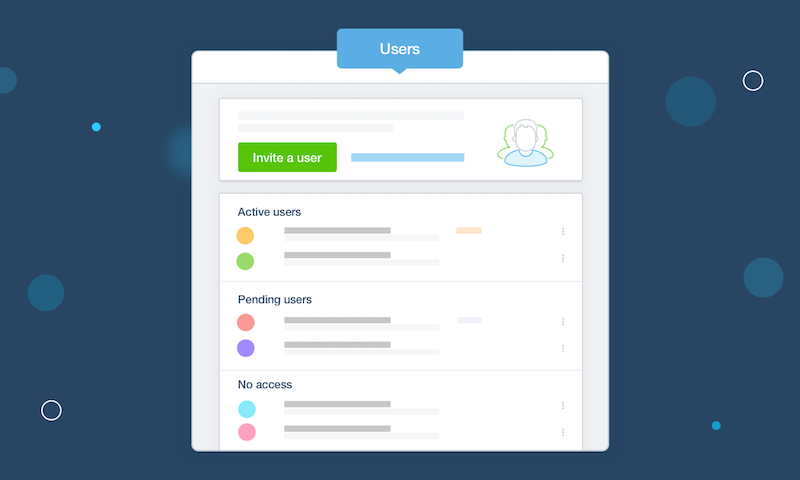 As part of this process, we’ve redesigned the User Permissions page, which we’ll be releasing to everyone over the coming week. We’ve also completed some important work in the back-end to ensure that Xero could support more user role options in the future. New Expenses and Xero Projects need more flexibility with who can do what, and this update allows for this – more on those below. We’ve had requests for every type of role under the sun. In Community alone, there have been over 100 individual feature requests for every user role permutation imaginable. While the roll out of this release won’t satisfy the want for grand, complex, completely customisable settings – it is a great step in the right direction. As new products and features are added to Xero, more user roles are likely to be created down the track. For now though, we need to get on building those new features! Not everyone in your business needs to know everything about everything in your projects. In fact there’s often sensitive information that you may well not want your staff to know. Yet this needs to be balanced against giving them enough access to be able to do their job without having to constantly bug someone with a higher level of access. Very soon, we’ll introduce three Xero Projects user roles to support the most common roles we encounter when working with service businesses. Projects admin is for the boss, or financial person, who needs to know everything about the financial detail of your projects, including how much you pay your staff. So Projects admin can do anything in Projects. Projects standard is for your project managers, site managers, or anyone who needs to set up projects and make sure they’re on track. They can do everything that the Projects admin can do, minus access to that sensitive information about staff. They can track their own time, and see time entered by other members of your team. Projects limited is primarily for your team. They need to track their time, see how they’re progressing against estimates for projects and tasks. And that’s pretty much it. Managing Projects invoices and assigning bills and bank rec to a project. If your Projects users need to do things like edit or send invoices, assign bills or spend money from bank rec to a project, you’ll need to give them access to those areas in Xero too using the Accounting roles. Likewise, if they to set up Inventory items to allow quick creation of tasks and expenses. Limited users won’t be able to create invoices from Projects, regardless of their Xero role. Due to be released soon is our brand new Expenses feature. This will include three new permissions that give you more flexibility, and control over the expense claims process. This will significantly simplify your workflow and boost efficiency, as only the people you choose can view, submit, approve/decline, and pay an expense claim. Submitters can view and submit only their own expenses. Approvers are able to view and approve others submitted expenses, along with their own. Admins have the ability do to all of the above, and hold the purse strings to reimburse employees for the expenses they’ve submitted. One helpful, highly requested features will be the ability to submit an expense claim on behalf of somebody else. Approvers and Admins will both be able to do this in new Xero Expenses. During the setup process, you’ll be asked to assign user permissions. But you can always add these in later in your Expenses Settings page. Keep an eye out in Xero for when new Expenses drops. So you can start setting up your employees with Expenses and give them the permissions they need. The post Laying the foundations for a more beautiful user role experience appeared first on Xero Blog.